Analyzing The Career Of The Great Robert Downey Jr. 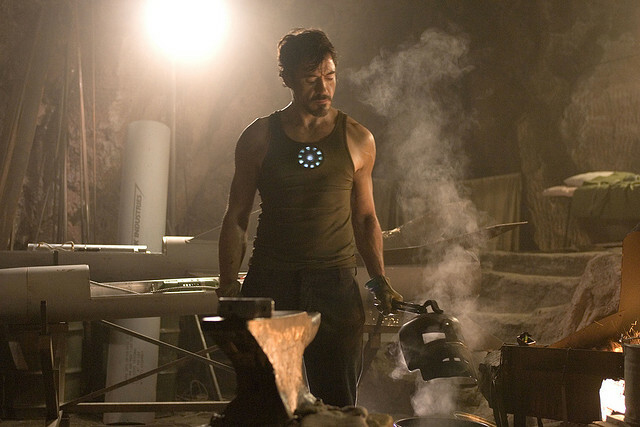 If you’re a movie fan, let’s have a moment of quiet thanks for Robert Downey Jr. (aka Iron Man). We know I’m going to discuss Iron Man but I actually want to talk with you for a few moments about the man behind the suit. He started acting as a child but is probably best remembered in his youth for his stint on Saturday Night Live in 1985 and his bit-role in Weird Science. Weird Science, the flick with super hot Kelly LeBrock, is possibly the quintessential nerd movie and thus in my top 10. We knew early on that there was something about Robert that was going to make him last in this business. I mean, if you still loved Jr. after he poured the full contents of his Slushee on the head of Anthony Michael Hall (Brat Pack nice guy) then you could love him through anything. Sadly some great clowns tend to have sad stories. From an early age, Jr. struggled with a substance abuse issue. He had his highs and his lows. A majority of the nineties was filled with a Lohan/Sheen-like bout of headline gathering. A newly born Internet was rife with posts and news articles regarding the first “web-generation” bad boy. His next big screen installment was a bit of life, imitating art, imitating life. A little confusing, but the film was called Less Than Zero and revolved around a spoiled youngling who rebels with an ever-deepening addiction problem. Once again (and probably related to his actual life) the Down-man delivered. With on and off problems in 1992 he got the role that really put him on the path to worldwide, positive (for a change) notoriety, Chaplin. His portrayal can only be described as perfection. The mastery of Chaplin’s slapstick style and brilliant use of facial expression takes an actor equal to that silent magician’s genius. As we know, his bout with optimistic public scrutiny was short lived. Possibly the lowest point, some might remember, was when we lost Downey for a little while to a yearlong prison sentence. However, despite a few bumps after prison, his way back to fame is secured. The “Dark Knight” had risen (that’s for you Batman friends, in case you thought this was getting too downbeat). As we all know, he has made it from the bottom, to the middle, to the bottom again and now finally (and deservedly) he has reached the top. Iron Man has given Robert Downey Jr. a chance to do it all in one flick. He is funny while being deep and though it doesn’t get the credit it deserves, bringing a comic book character to life is not easy. We have seen it tried and failed more than it has succeeded. (I give you Superman Returns or some not-to-be-mentioned Hulk films). His take over of the role is, in all honesty, the reason there was an Avengers movie. Marvel and director Jon Favreau birthed a $140 million experiment. Iron Man was the prototype for the coming superhero movies. As we know, it was a great success, fostered two sequels, and stands as the spine of the current intertwined Marvel universe. Weather you liked or disliked the third installment (and you might have really hated it) you have to give it up for the Rob. Marvel, Favreau, Us, hell, even Disney, now have to stay quiet. Thank you for the triumphant return of the dude, playing the dude, disguised as another dude. (That last line was for you Tropic Thunder fans. That movies ‘da bomb’ and we know it).